We’re here when you need us. 24/7. Any time. If you’ve been involved in an accident with a truck, you know how scary it can be; it might feel like it’s you against the world. Or, at least you against a big, fancy insurance company. This is where we come in. Green Law Firm has spent years protecting hard working people from greedy insurance companies who think of you as a number. Contact us today for a risk-free review of your case! 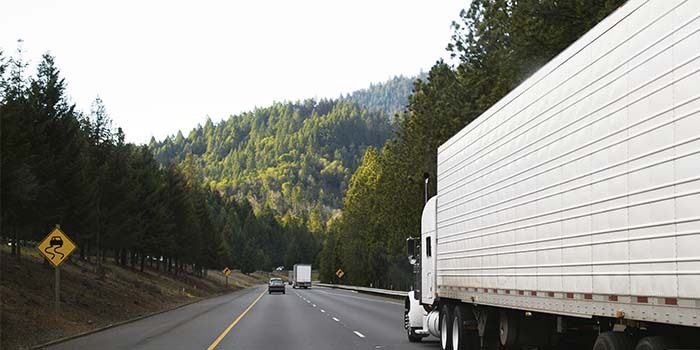 Let’s talk about what you need to know about truck accidents. 1. They are more dangerous than accidents between pedestrian cars. Eighty-three percent of people who experience fatal injuries in truck accidents are people outside of the truck. Trucks weigh as much as 25 times what a passenger vehicle weighs. Because of their large size and weight, smaller vehicles on the road are simply more vulnerable in the event of an accident. While trucks are only responsible for about 3 percent of injury-causing accidents, they do much greater harm than other vehicles on the road. 2. There are laws and regulations that govern the trucking industry; these rules and regulations are designed to keep people safe. The laws are important because, not only do they keep you safer on the road, but they often help to determine who is responsible in the event of an accident. When drivers, and the companies that employ them, break the rules…it means they are most likely to be found liable and at fault if an accident occurs. For you to be awarded compensation, it must be proven that you are not at fault for the accident. 3. There are lots of different people who can be held liable in the event of an accident. Not all truck accidents are simple. Sometimes, the burden of responsibility goes way beyond the driver. The more parties there are involved in a case, the more complex it gets. The more complex it is, the more room for careless errors and mistakes to be made! This is why you need a reliable, industrious and detail-oriented attorney like Bill Green to represent you! Many times, truck companies will do anything they can to avoid responsibility and to avoid paying you! Are you unsure who is responsible for your accident? The experienced team at Green Law Firm will review your case 100-percent risk-free to help you to understand who is (probably) liable for your accident and how this will affect your claim! 4. The most common causes of truck accidents are driver error and equipment failure. drivers who are fatigued cause 18 percent of accidents. First and foremost, a skilled trucking accident lawyer will put your needs first; you are not a number or a dollar sign. You are a family and a life! What is in your best interest is in our best interest. Green Law Firm understands how essential rock-solid evidence is to your case! The moment an accident has been reported, insurance agencies representing trucking companies hop into action to start protecting their client. But who protects you? Evidence at the accident scene is crucial to proving your case! Photos, videos and witness statements can all make or break your case. We act fast to secure key witnesses, gather experts and organize and collect your medical bills. In short, we will put together the strongest case we can on your behalf! If the negligence of the driver is severe enough, you may recover punitive damages designed to punish them for their level of wrongdoing. Don’t delay! Every day you wait to secure the help of an experienced legal team is one day more that a trucking company can work against you! There is no risk when you call Green Law Firm; we will review your case at no cost to you! Plus, there is no out of pocket expense to retain our services. We are compensated based only on monies that you are awarded! Call us at 843-747-2455 for help right away!